[prMac.com] Hagenberg, Austria - Ergonis Software today announced the release of PopChar X 4.0, the award-winning tool for finding and typing special characters. PopChar 4 introduces a new view that allows users to search for special characters in a new, system-wide way, without being limited to the characters available in a particular font. Imagine you want to type the cubic meters symbol, but you don't know the keyboard combination, much less you know what font contains the required symbol. Up to now you would have to search all your installed fonts one by one. With PopChar 4 you just type "cub m" in the search field and switch to the new "All" view. If any of your installed fonts contains the cubic meters symbol, PopChar will show it to you, and will allow you to insert it into your document with a single click. You don't even have to know which font the symbol comes from. 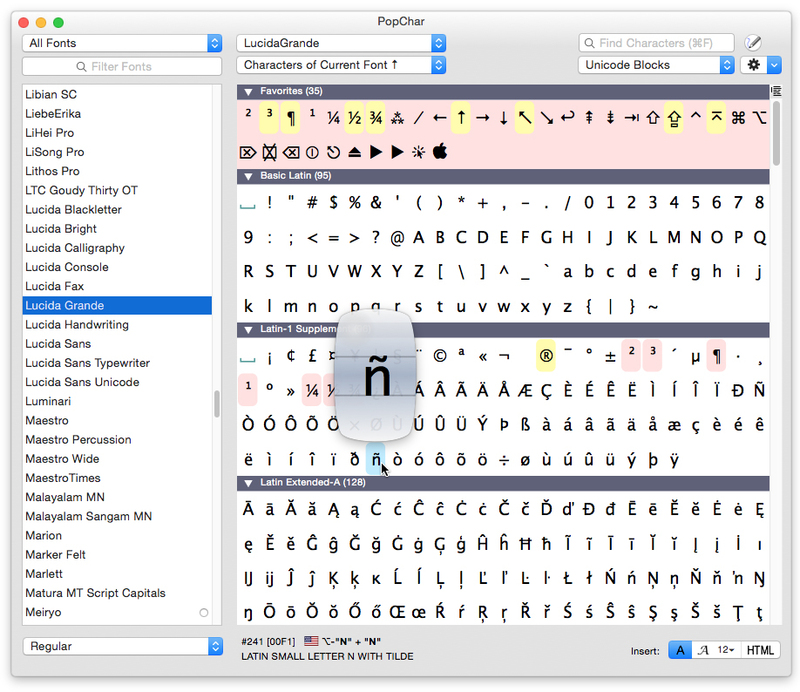 "PopChar has been helping Mac users for more than 20 years to make best use of their installed fonts. With the power of Unicode fonts and today's support of Unicode in most applications, the utilization of Unicode should no longer be a matter of specialists," said Christoph Reichenberger, founder and CEO of Ergonis Software. "PopChar's new system-wide font view lets you make use of the full power of Unicode fonts in a simple, Mac-like way and emphasizes again that PopChar is the number-one utility when it comes to dealing with fonts and special characters". The new version also adds other features like a new command for copying the selected character's Unicode name, support for Unicode 5.1, improved Leopard appearance, and more. Visit Ergonis Software's website to learn more about specific enhancements contained in this release and to download a trial copy. PopChar can be purchased securely on the Ergonis Software website. The upgrade to PopChar X 4.0 is free for anyone who purchased PopChar in the last 2 years. For information about purchases, including enterprise licenses, volume discounts, and upgrade pricing offers, visit the website. Instead of purchasing PopChar by itself, customers can get the Macility Productivity Bundle that also contains two of the company's other productivity tools, Typinator and KeyCue. The pricing of the Productivity Bundle represents a saving of more than 35% over the separate purchase of its components. More information about the Productivity Bundle can be found at the website. PopChar X 4.0 requires Mac OS X 10.4 or newer, Mac OS 10.5 is recommended.